A new season of Indian Premier League started yesterday. It is the 11th episode of IPL where IPL is the most successful, most popular and most expensive league cricket competition in the current cricket World. In the ongoing season of IPL, total eight franchise teams have taken part where Chennai Super Kings and Rajasthan Royals have also took part. This two franchise teams have suffered two seasons of suspension and now, they have come back again. On the other side, Gujarat Lions and Rising Pune Supergiant have ruled out from the competition. They took part in IPL for two seasons in exchange for CSK and RR.However, Chennai Super Kings has started the new season with the inaugural match of the tournament. 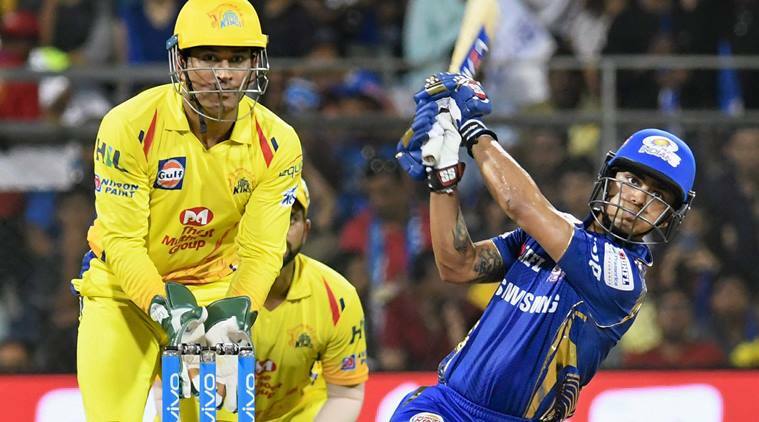 Opening match of Indian Premier League was executed between CSK and Mumbai Indians where earlier of the match Mumbai Indians (MI) was regarded as the favourite team between them. But, Chennai Super Kings won the first match dramatically against MI. Besides, Mumbai Indians is the most successful team in IPL where they won highest three titles of IPL already along with the 2017 season title. So, they are the defending champion. Chennai Super Kings also won IPL title twice times in history and they won two titles consecutively in 2010 and 2011 season. The opening match of IPL was executed in 7th April, 2018 and the host ground was Wankhede Stadium which is the home venue of Mumbai Indians. It was a day/ night competition where Chennai Super Kings won the toss and decided to bowl first. Basically second batting team used to get the much advantage to win the match. So, CSK did the great job by taking field first. Mumbai Indian came to bat for the first time in the season. They played very well but their presented score was not so big. They lost only four wickets in their first match in 20 overs and scored 165 runs so far. Suryakumar Yadav scored highest 43 runs in 29 balls. Basically CSK bowled very well in the match and tied MI within short target. Shane Watson took two wickets for CSK in the match. Later, Chennai Super Kings came to open their first chase in the match. They played also well but their players did not get settled on the ground. Finally, in 19.5 overs CSK reached the target witha boundary. So, by losing nine wickets CSK scored 169 runs so far. Dwayne Bravo played destructively and scored 68 runs highest. He faced only 30 balls and did the score. He alone led his team to victory it seems. Mayank Markande took three wickets for Mumbai Indians.